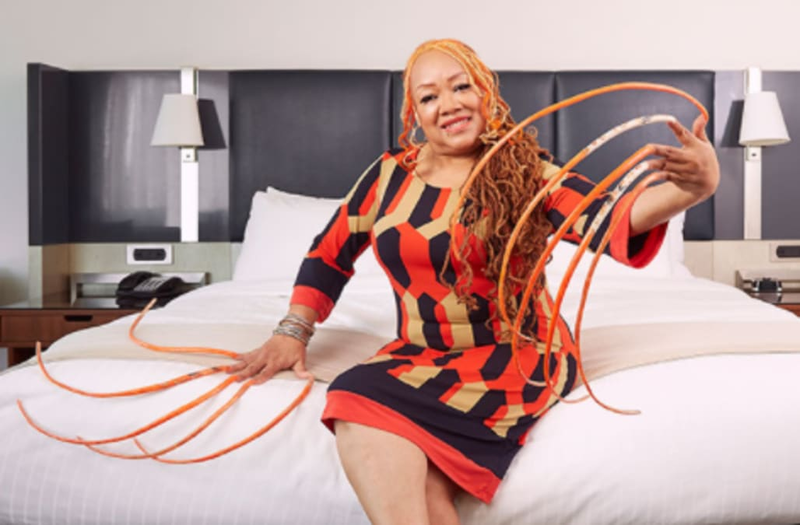 It may have taken her 20 years, but Ayanna Williams finally did it: She broke the record for the longest fingernails in the world. 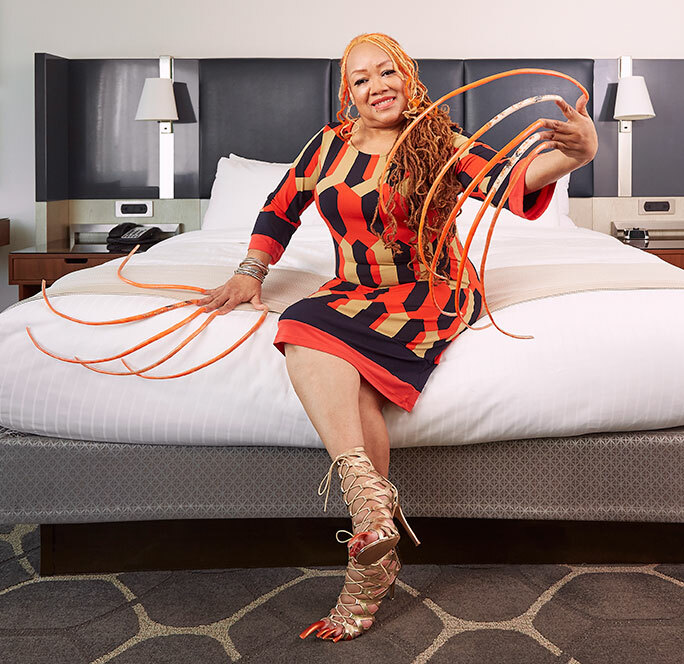 The Texas native is making headlines for her wild talons, which measure out to be a combined total of 18 feet and 10.9 inches, to be exact. Williams is set to be featured in Guinness World Record's 2018 book. It takes Ayanna, a nail technician, over 20 hours to paint her nails, which requires two bottles of nail polish. With this time commitment, she only paints them once a month and uses acrylic. However, she washes them three times a day and rests them on a pillow. "I clean with them a brush at the sink. I use disinfectant or bleach," she told People. Understandably, it's difficult for Ayanna to complete mundane tasks and even eat, but she's come up with some extreme ways to get them done. "Sometimes if I'm eating popcorn I use a spoon," she said. She also uses "a pencil or one of her knuckles" to text on her cell phone or computer. Luckily, she says, family members help take care of chores around the house as to not damage her nails.